I got this book 'cause I wanted to learn about Marie Laveau's life, little did I know it was a work of fiction. I was putting it off for a while till I came across this very same book on a Voodoo documentary, in which it was said the novel was full of lies and not well researched. 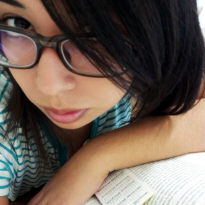 My curiosity was piqued again and I started reading. The book covers Laveau's life since she was 25 years of age until she's around 75 years old. 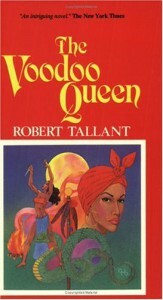 It tells how she got into voodoo and how it changed her life, going from a homely girl to a powerful voodoo queen. There isn't much supernatural business going on in the story, which I thought would be the case when I learned this was a fictional novel. I wanted it to be supernatural and scary, with weird voodoo rites and evil works of magic. Yet I enjoyed it quite a lot, down to earth as it was. I'm no historian but I liked the way the interaction between classes and races was portrayed, how each of them faced the hardships of their lives, being them unrequited love, diseases or times of economic and political turmoil.